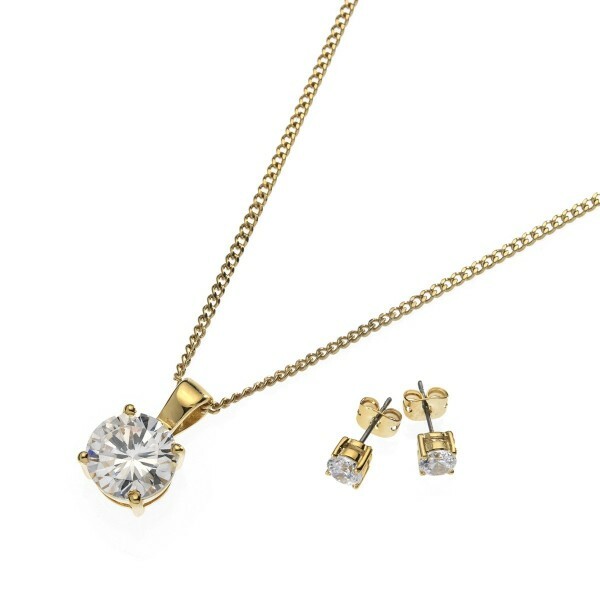 A classic and popular pendant and earring set. Plated with 18k gold and set with round-cut cubic zirconias. It features a pendant, set with an 8mm round-cut cz. A classic curb chain finishes off this classic look. Chain length 41cm plus a 6cm extender. he earrings are claw-set with a 5mm round-cut cz and feature a post and butterfly fastening suitable for pierced ears only.